When I downloaded this from Christianaudio.com, I expected a modernised version of the language. I didn't expect them to have decided that it was "too didactic" and that what they wanted to produce was a "wonderful fairytale" instead of a Christian allegory. (I quote from the introduction). The reader is fantastic, don't get me wrong. But all the meat has been cut off the bones of the story. What you have left is a quest tale, but without all the Christian bits. Direct references to Christ have been removed (such as "He who bought us with His Blood") and the picture in Interpreter's House of the King with the Book (Jesus) is gone. All of the discussions have been cut, which is a major portion of the book; I suppose discussions of beliefs are "too didactic"?? That eliminates the very reason Bunyan wrote the book!! He [b]meant[/b] to teach people sound doctrine, which is what "didactic" means. I first read PP in its original form when I was about 10. I may not have fully grasped it then, but I did enjoy it as originally written. 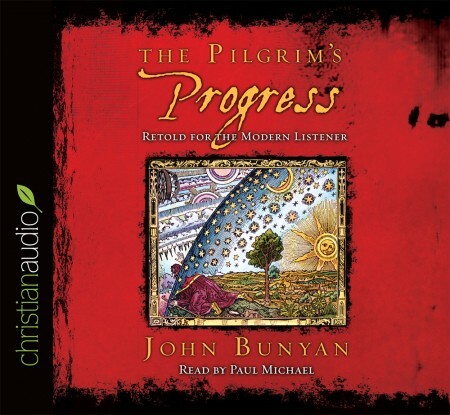 I've reread it many times, listened to the full version read by Nadia May (also from Christianaudio.com, and well worth buying), and I refuse to believe that we have gotten too ignorant to understand its message with a minimum of effort. I'm sorry to say I was very disappointed with this "abridgement."